She's Fantastic: Marvel's Spider-Man - SPIDER-GIRL! I still haven't watched any episodes of the new Marvel's Spider-Man cartoon on Disney XD. But given the amount of merchandise attention that Anya Corazon is getting from it, I know I need to start soon. I have a great fondness for all the various Spider-Women that have been introduced over the years - Jessica Drew, Julia Carpenter, Mayday, Spider-Gwen, Ashley Barton, all of them. 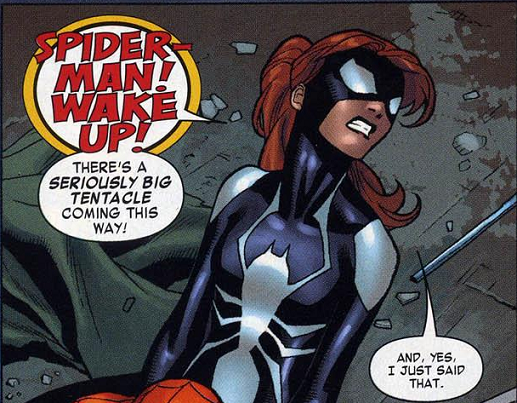 But above and beyond my favorite has been Anya Corazon (once she donned the Spider-Girl outfit -- her Araña phase wasn't my favorite to be honest). Her comics were witty and fun and I adored them (check out the Spider-Girl: Family Values TPB). Once the Spider-Verse storyline happened and we were suddenly introduced to dozens of cool new Spiders, I was afraid she would be overshadowed. But she's maintained a decent presence and now her role in the Disney XD show is making her a permanent fixture in the Marvel Universe (in my humble opinion). This toy is proving my point. Let's check out her new kid's line figure below! 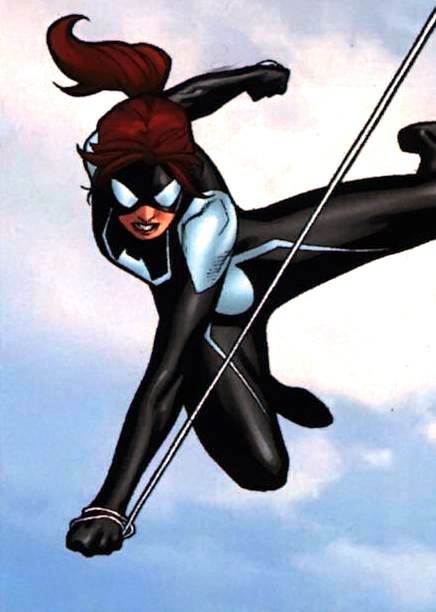 Spider-Girl's action feature is a blue thread that pops out of her wrist-mounted web-launcher when her backpack (a rubber air bladder) is compressed. I had a toy frog when I was a kid that had the same feature. A red paper tongue would pop out when the body was squeezed. It's a pretty nostalgic gimmick for me. While I think the backpack accessory is fun, I also find it burdensome and unnecessary for this figure. Unfortunately it does not seem removable. I will try to fully remove it as soon as I find a second figure to experiment with. But in the meantime, the pivoting web-shooter arm can be popped off. From Left to Right: SD Toys, Titan Hero, Eaglemoss, Disney XD, Marvel Legends, Jada Nano, Funko POP.